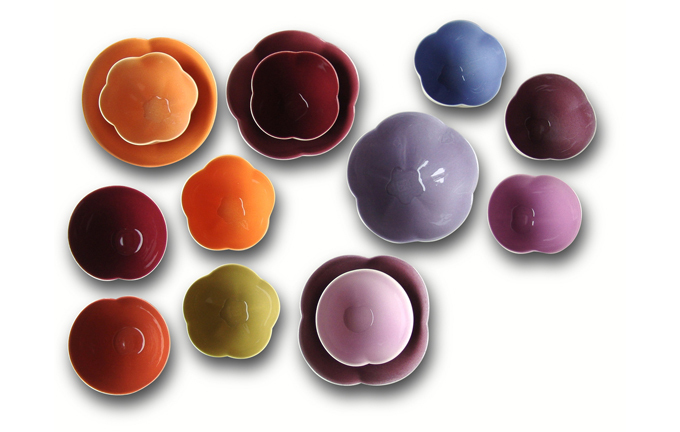 Striking simplicity, hidden stimuli and purposeful friendly variations keep the 100 flowers, the blossom bowls and the pair series extremely versatile. Based entirely on personal preference and appetite - tea, soup, fruit, salad or dessert can be enjoyed from them. The distinctive East-West influences fit particularly well with Asian cuisine and fusion cooking.